“Get Psyched” explores the complicated process of human thoughts and behavior to help you understand who we really are. I write this series in the belief that understanding psychological theories will make your life easier, or at least, teach you why life could be so hard. After reading my stories, you’ll get psyched. 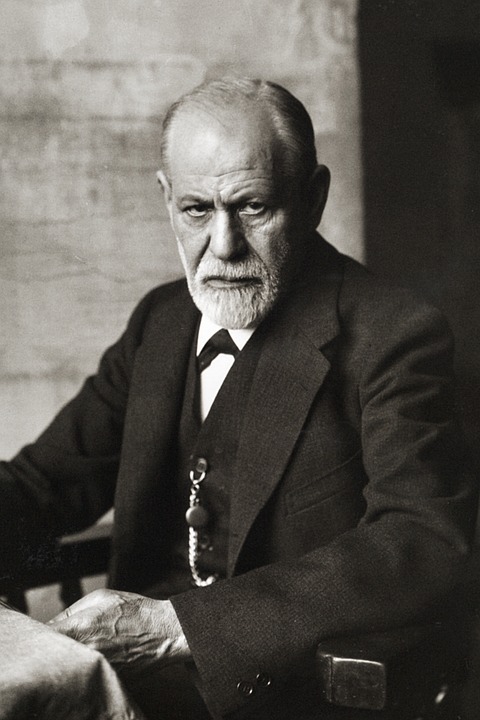 Let’s talk about our friend, Sigmund Freud. He is an Australian neurologist, also as known as the founder of psychoanalysis. Nearly 80 years after his death, we still learn about his theories in Psych 101. Although some of his psychosexual theories have faced criticism, his theory of defense mechanisms seems to reasonably explain our irrational, unexplainable behavior. According to Freudian theory, the ego is a component of personality that represents our reason and rationality. When anxiety becomes overwhelming, the ego must defend itself. Ego defense mechanisms are techniques used to reduce anxiety by distorting our reality. Occasionally, reality is too gruesome to face, so we prevent painful or unacceptable thoughts from entering our consciousness. For example, some people may not remember the details of a tragic accident or past abuses. Sublimation is the act of redirecting socially unacceptable impulses into acceptable thoughts. One example could be redirecting aggressive impulses by becoming a professional fighter. For example, Mike Tyson redirected his aggressive impulses into professional fighting. He started boxing to defend himself in a violent neighborhood, sometimes resulting in criminal offenses, but his skills led him to a boxing career. Denial is the refusal to accept an unpleasant reality. A hard reality is always hard to internalize, but denial is treated by practicing acceptance and acknowledgement. For example, the first step of the 12-step program of Alcoholics Anonymous is admitting your powerlessness over alcohol. Alcoholics are prone to refuse to face the reality and admit their addiction. The first step is acceptance, because although it’s the hardest, it drives change. Intellectualization is the act of ignoring the emotions related to painful experiences by focusing on logic and facts. When reminiscing on a recent breakup, we try to ignore the underlying pain by analyzing the breakup itself, for example. Projection is the redirection of our own unacceptable thoughts, motives or impulses to others. An apt example of projection is becoming unreasonably jealous of your partner while denying your own attraction to others, or vice versa. We may not acknowledge impulses while overemphasizing their opposites. A prominent example is internalized homophobia. A gay man may criticize LGBTQ people and have numerous affairs with women to deny his sexuality. Regression is reverting to childlike, immature responses, especially in stressful situations. How often have you gotten upset when your friend didn’t want to go to the restaurant you were really craving? Our frustration leads us to redirect impulses from the original source toward a less threatening person or object. You may displace your frustrations of being scolded by your mother by yelling at your younger brother, for example. Freud believed defense mechanisms help us deal with conflicts. Although defense mechanisms can be healthy and helpful if we use them in moderation or on a temporary basis, using them too much can distort reality. Our most dangerous habits may then enter a vicious, self-reinforced cycle. You shouldn’t have to misdirect traumatic experiences or justify misbehavior too often. It is always harder to sit with your pain, accept your mistakes and come to terms with the truth — but everyday life asks this of us. If we need to cut ourselves a break sometimes with rationalization or redirect our skills with sublimation, we’re using our defense mechanisms to better our lifestyles. But by denying or repressing ourselves of emotions, projecting or displacing these emotions onto others, refusing to truly process our emotions by employing intellectualization or regression, or going so far as to veer into reaction formation, we are not doing ourselves any favors. Feel out when and why you’re using these defense mechanisms — maybe some of your defenses will come down.